Where do you need the siding installer? With quality insulation added to your new siding, you add a layer of protection to your home, reducing moisture, as well as raising the level of comfort indoors. Deciding the right type of insulation for the siding project is important. Consider these basic steps and questions to ask your contractor, siding specialist, or home improvement salesperson to ensure your home is insulated properly. The R-Value for insulation is the measurement of the insulation’s resistance to heat flow. The higher an insulation product’s R-Value, the better it is at resisting heat from flowing through your home. The R-Value is a priority and should work well with the climate for your area. Check the Energy Star website insulation map to see which R-Value is suggested for your area. Do take into consideration the climate for your area as both the new siding material and the insulation need to be able to maintain your home’s efficiency to prevent moisture and air leakage during seasonal weather conditions. The choice depends on the type of siding material being installed and whether the siding is on new construction, placed over existing siding, or replacing the current insulation once the old siding is removed. 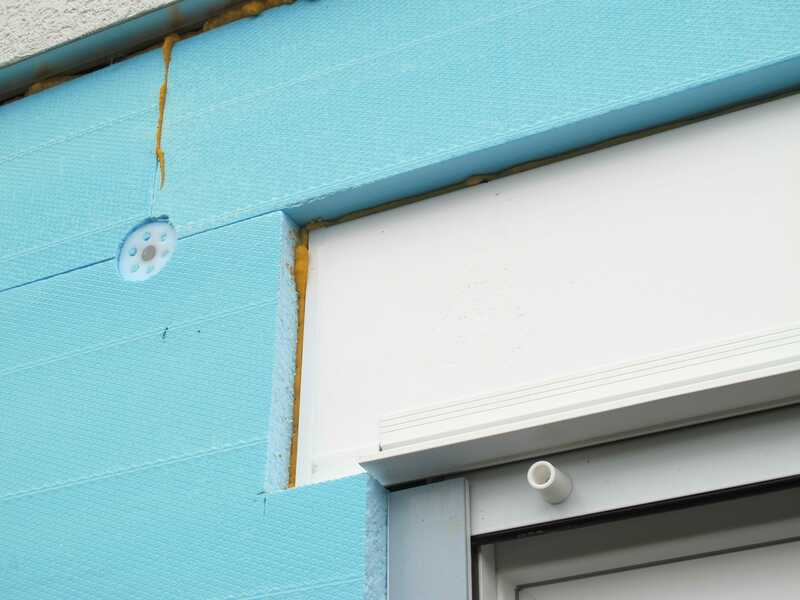 Listed below are common types of siding insulation. Three popular choices are vinyl, wood, and fiber-cement. Other siding types include stucco, stone-veneer, and brick veneer. Your choice of insulation will depend on the type of siding. It is recommended that you request between 3 to 5 estimates from siding insulation contractors for comparison. The most expensive does not always ensure the best service nor does the least expensive mean inferior work. Check each contractor’s business with the Better Business Bureau for any negative reviews. If a building permit is required from the city before removing, replacing and/or installing new insulation, generally your contractor will take care of this step as proof of the necessary license to do the project may be required. This figure will vary depending on the square footage of the home, design of the home (multiple corners, multiple levels, and non-traditional design) and any repairs. Each contractor’s bid should be all-inclusive which includes pricing for materials, labor, on-site inspection of the home, permit fee, underlayment, flashing, door and window trim fittings, fasteners, caulking, and adhesives. Location, seasonal rates, and installation during peak times of the year may also factor into the cost. If old siding is being removed, the cost of removal, transport, and disposal of the materials may or may not be included in the installment cost. Here is an example with estimated figures of what a project would cost for an 1100 square foot home in Florida having insulated vinyl siding installed as of 2016. The figures are based on basic, better than basic, and the best insulation material. Like opening a present, you never know what’s inside until the wrapping is removed. So, too, it goes with replacing siding. Regardless of the type – vinyl, fiber-cement, wood, or another material- you don’t know what you’ll find. If the original insulation or siding was improperly installed or the insulation is non-existent or has deteriorated, this can cause a moisture problem for your home. It can also mean wood rot along with any other type of damage done by termites or wildlife.The home may also have issues with wood rot due to moisture to exterior window and door trims. These, too, will need repairing. Before installing new insulation, repairs will need to be addressed and this will incur an additional fee. With this in mind, when budgeting for new insulation and siding, increase your total cost for these unforeseen situations anywhere between 10 percent and 20 percent to cover the costs. Of course, it could be more depending on the extent of damage and the repairs needed. Tap into the experience and knowledge of your contractor and sales rep to help guide you through the buying and selecting process. New insulation can be a significant investment and choosing the right materials for your climate and home design is important. With all the right pieces in place from start to finish you’ll see an increase in your home’s value, enjoy better efficiency, and add curb appeal.